It is MEC’s fundamental belief that each and every born again believer is a disciple of Jesus Christ. The Bible teaches that true disciples are to be active in a fellowship and services of the church. It is very important for everyone to be actively involved in the church. MEC offers ministry for all ages. We invite you to explore our ministry opportunities to match your personal interest and gift. Mien Christian Fellowship was established in 1994 by 14 Mien churches in the U.S. on the West Coast. The purpose and goal of this fellowship is to work together with the member churches and others to fulfill the Great Commission of our lord Jesus Christ as proclaimed in Matthew 28:19-20. The fellowship focuses on two major areas of ministry: evangelism and church strengthening here in the U.S. and overseas. We seek to witness by all means possible to the scattered Mien and all others. In order to reach the hardest to reach groups of Mien in the remote areas, the Mien Radio Ministry was established. By short wave radio we strive to reach out the million of Mien in China, Vietnam, Laos, and Thailand. 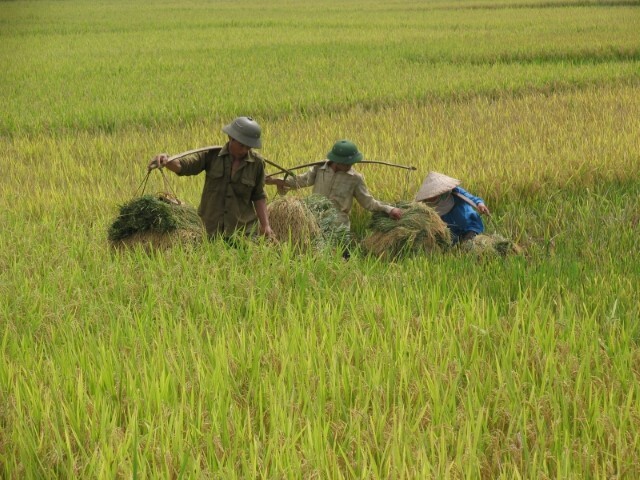 Prior to the existence of Mien Radio Ministry, the majority of Mien Christians in Vietnam came to the Lord through hearing the Gospel by radio in Vietnamese. This underscores the great value of broadcasting. Current economic problems in Thailand and the great difficulty of supporting families in the mountain areas has caused many youth and adults to scatter to Thai cities and other countries for education and jobs. This makes it very difficult to build up the church there. We provide leadership trainings to equip church leaders in Asian countires. In America we conduct seminars, camps, and leadership schools to strengthen churches and planting new churches. A good number of the committed leaders from several of our churches are currently studying in Bible colleges and seminaries and eleven have already graduated.